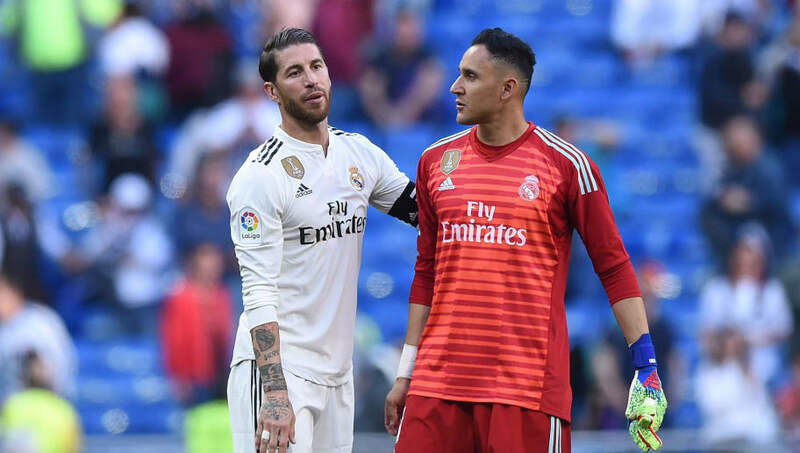 ​​Real Madrid goalkeeper Keylor Navas has lashed out at former coach Santiago Solari for what he said was "ugly" treatment and hinted at a potential exit in the summer if he is not first choice next season. Navas was the number one goalkeeper from 2016 to 2018 when Real won the ​Champions League, but has had to share duties with Thibaut Courtois since his arrival from ​Chelsea. Santiago Solari reduced his role further and went on to not select him for a dead rubber against CSKA Moscow in the Champions League group stage in a game that saw Los Blancos send out a heavily rotated side. Speaking to ​El Partidazo Cope, as per ​ESPN, he said, "The last game of the Champions League group stages was a pretty ugly day. We were already qualified, so almost all my teammates got a chance to play, but I did not." The Costa Rican, who was picked in the starting XI by Zinedine Zidane for the first ​La Liga match of his second spell as Real Madrid manager, also hinted at leaving the club if he is not promised regular playing time. Zidane was non-committal after the match, saying that both goalkeepers would get regular chances to prove themselves and then the situation would be analysed in the summer. He said, "I don't know. Competition is always healthy -- I have no problem getting on with anyone. My relationship [with Courtois] is normal. I have a contract and have always said my dream was to play at Real Madrid. But I would not like to have another year like this one."